The info below will give you a general idea of how I come up with my children's illustrations. Thumbnails give the author and the artist a chance to work out images for the book. They are mini sketches; a preview to show the action on the pages. It gives me the chance to find references, if I need them. They often are revised but it a great first step to get the discussion started. The Character Sketches allow me to work out what the image will really look like. The author will have the opportunity to approve and revise the image. Revisions are easy and preferable, at this stage. Note: This sketch was done on drawing paper and adjusted with tracing paper while I work out ideas. But I often use my computer to make things easier. 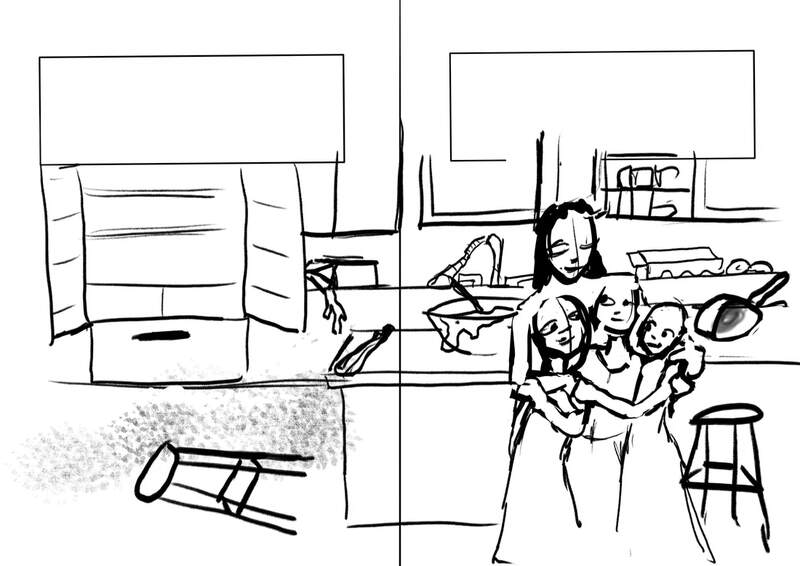 ​Rough Sketches help me workout the idea to share with the author/publisher. Revisions are easy and preferable, at this stage. Final line work can be completed once I have gone through the "ugly sketch" phase. Sometimes it takes a few attempts to get to something worth exploring. Once I have a drawing that I like I can begin to explore the color options. Finally, I apply color to finish the piece. For self-publishing authors I will often scan in sketches/drawings/paintings and modify them with Photoshop (or other software) to get the finished product. Occasionally I may use traditional media because I love the loose, fluid motion I can get to create the art work. My style is to have the colors flow and/or look smooth and blended. You will see these characteristics in my gallery of work.